Apparently, someone was driving around the Banff area with 33 gnomes and some other miscellaneous lawn ornaments in the back of a van. The driver was pulled over (for some reason?) 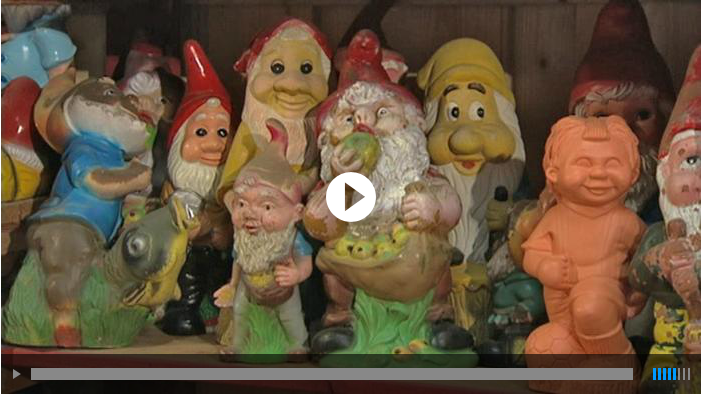 and the gnomes were identified as those belonging to residents of the Aberdeenshire area. Scotland’s favorite schoolboy, Oor Wullie, was joyriding along with the renegade gnomes as well. A schoolboy….what fun! 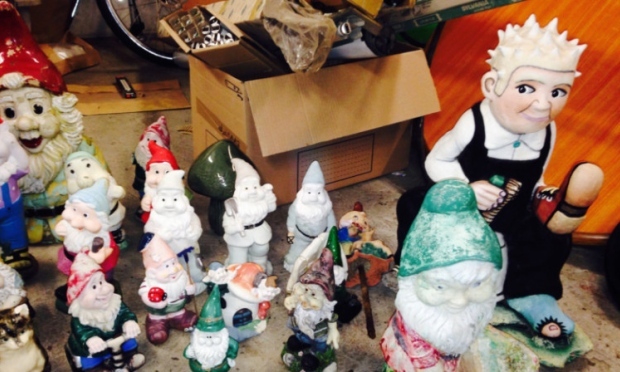 The gnomes are believed to have been taken from local residences between Wednesday and Thursday this week. If you’re missing a gnome or know someone who is, The Courier newspaper may be able to get you reconnected. Send an email over to [email protected] The police could probably use a little help reuniting gnomes with gnome owners too, if you could lend a helping hand. Keep in mind, this is BREAKING NEWS and we don’t have the full details of the story yet. Who IS the driver of the van? What IS his/her connection to the gnome community? Where were they all going on that joyride? Were the gnomes kidnapped or did they leave their homes willingly? You’d better bet our gnome sleuths are on the case. Tip us off if you hear anything! 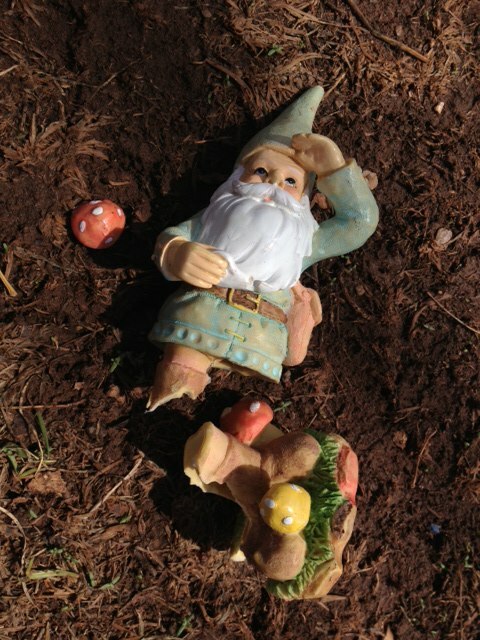 BREAKING NEWS: GNOMES DYING FROM FUNGUS?!? Gnomes around the world have been warned about a deadly fungus that lurks in compost heaps and threatens to wipe out the gnomish population by the year 2020. Did you know that gnomes suffer from growth hormone deficiency? Yep, we do alright. Gnomes are dropping like flies! Our immune systems can’t handle this fungal disease and something must be done! And listen up…gnomes are considered to be “endangered,” and we’re genetic cousins to humans. This means that what you get sick from, we get sick from too. UGH! This is truly alarming news. I’m pleading with you….help save gnomes from fungus!!! Are Tree Yetis a Legitimate Threat to Gnomes? So um..we have a problem here. Which prompts the obvious questions…what the hell is a tree yeti and do they actually pose a legitimate threat to our very existence? Pretty freaking creepy, if you ask me. 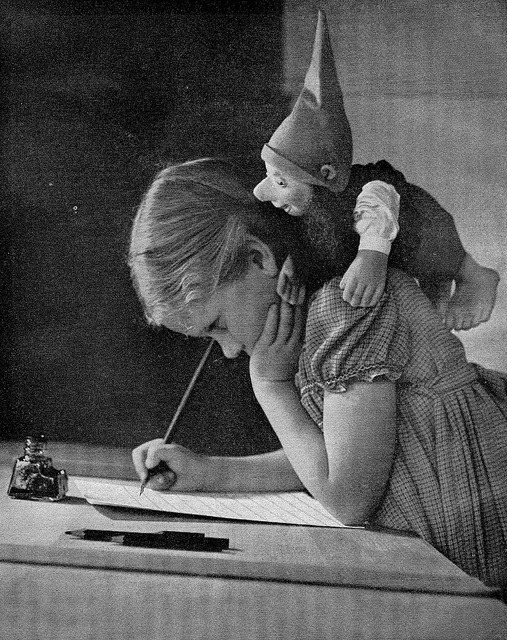 This thing does WAY beyond the average gnome’s capacity for creepiness. No question about it. 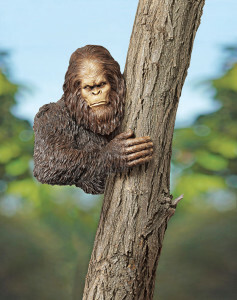 Apparently, these tree yetis are taking the suburbs by storm. Have you seen any of these things lurking around? We need to assess the severity of this situation.